Gambling was first used as an economic and tourist development tool after the World War Two and the first casino in Serbia was opened as early as the ’60s. Under the Yugoslav ‘Law on Games of Chance’ enacted in the 1960s, the authorities created a distinction between ‘special games of chance’ and ‘classical games of chance’ – a distinction which still resonates in Serbia today. Special games of chance were played inside casinos, but these were exclusively for foreign tourists, locals were in fact not allowed to enter such venues.. 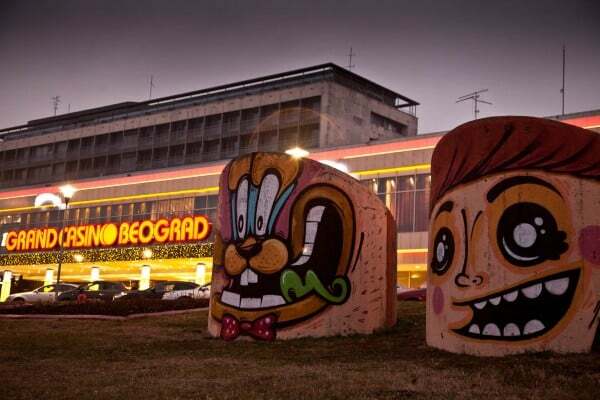 The first casino opened in Serbia’s capital, Belgrade, in the 1960s. The Yugoslav state retained the right to organize lottery and lottery type games. Classical games and online gambling became the monopoly of the State Lottery. The state also started to hand out land-based Serbian casino licences again. In 2011, the New Act on Games of Chance was enacted which, among other things, dismantled the online gambling monopoly of the State Lottery and allowed operators to apply for an online gambling licence in Serbia (although only, if the company offering the games has a physical branch in the country*). The new legislation also includes a clause that makes it possible for the government to block unlicensed foreign platforms through ISPs (a blacklist of 70 sites was created in 2012**) and authorities also asked financial institutions to ban transactions related to unlicensed gambling sites. However, banks refused to comply. With the aforementioned provisions, Serbia clearly tries to establish a legal gambling and online gambling market. However, they do not go as far as to criminalise playing on foreign platforms on an individual level, so Serbian players placing bets with foreign online gambling operators do not face prosecution. Land based casinos in Serbia are legal and regulated by the authorities. Licenses are handed out since 2004. Currently, there are four legally operating casinos and plenty of smaller slot halls in Serbia. The only legal online casino in Serbia before 2011, was called Victory and it was operated by the State Lottery company. However, it’s been down for years. The 2011 piece of legislation opened up the market, but no additional licenses to Serbian online casinos seem to have been issued so far. That being said, individual players are not prosecuted for placing bets with foreign online gambling platforms, according to Serbian law. Bingo is considered a “classical game of chance”, and as such can only be organised by the State Lottery in Serbia, according to the 2011 New Act on Games of Chance. The company runs a nation wide bingo game. However, they do not offer their lottery products on an online platform. Foreign online operators are illegal, although there is no info on, whether the government’s blacklist for ISP blocked sites include any foreign online bingo platforms. However, players shouldn’t be concerned, as they are not prosecuted for playing on foreign bingo sites, according to Serbian laws. Land based poker is regulated and licensed in Serbia inside legally operating brick and mortar casinos. Prior to 2011, the online casinos site operated by the State Lottery, Victory offered an online poker platform as well. However, it has been shut down since then. Currently, there don’t appear to be any locally licensed poker sites in Serbia. However, although foreign online poker operators are technically illegal, Serbian players frequenting such sites are not prosecuted by the authorities. and TOTO11. As of 2012, there were approximately 20 companies registered to offer betting services in Serbia. These companies ran a total of 1,208 betting outlets*. Since then, this number has increased. All legal horse race wagering in the country is conducted by the The Hipodrom Beograd, or Serbian Horse Racing Authority. They do not operate an online betting platform. Since 2011, there are some online sports books legally operating on the Serbian market, such as Meridianbet. The bulk of major foreign online bookmakers are blocked by the government since 2012 and some operators voluntarily opted out of the Serbian market due to legal issues. However, players are not prosecuted for placing bets with foreign operators. Lottery is deemed a form of classical gambling by the 2014 legislation, therefore lottery in Serbia can only be conducted by the State Lottery company, Državna Lutrija Srbije. The firm operates several lottery shops around the country. However, the Serbian lottery does not offer any of its products on an online platform to date. The Serbian lottery was subject to a scandal recently, when during the TV show, a number 21 was shown on the screen when a 27 ball was drawn, and the next number was in fact 21, so it appeared, as if the number was somehow predicted. The police questioned several of the lottery companies managers in relation to the case and launched a probe, to discover whether the lottery was in fact rigged or it was just a technical error – as lottery officials stated*. Foreign online lotteries are technically illegal, and the state ordered ISPs to block 70 online gambling sites in 2012. It is unclear, though, whether their list includes international lottery sites as well. However, Serbian players cannot be prosecuted for participating in foreign lottery draws, according to Serbian law. Serbian authorities do not restrict the use of Bitcoin by businesses and individuals in any way, although – like in most European states – the National Bank of Serbia restricts banks and licensed exchanges from transacting in Bitcoin*. The legal status of Bitcoin gambling in Serbia is, therefore, highly uncertain. However, the only thing that’s important from the players perspective is that players who place bets on any foreign online betting site (including Bitcoin gambling platforms) are not prosecuted, and it is extremely unlikely, that the government’s blacklist includes any Bitcoin gambling operators. This online gambling guide focuses on casinos in Serbia, gambling, online gambling, bingo, sports betting and Bitcoin gambling is also investigated.